What comes to mind when you think of the color blue? Some might think of their favorite blue jeans, the latest in Bluetooth technology, or the popular children’s program Blue’s Clues. Others may recall a treasured blue and white soup tureen passed down through generations, an unforgettable blue summer sky, or Ol’ Blue Eyes and a Sinatra tune. 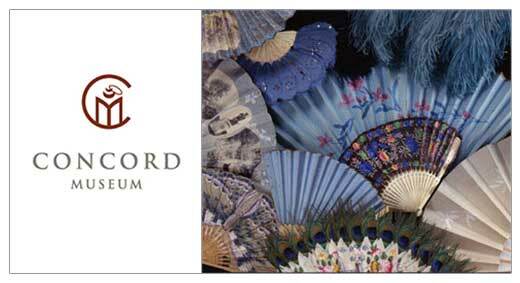 The newest exhibition at the Concord Museum looks at objects from the Museum’s collection through a blue lens, bringing together the fabrics, papers, and paints used in seascapes and landscapes, geometric and floral bandboxes, charming coverlets, blue and white ceramics, a Union officer’s great coat, a 1960s Emilio Pucci patterned silk dress, and much more. The Boston Globe had a nice piece on the exhibit Filling in shades of meaning: Museum explores the color blue. If you are going to be in the Boston area, the show runs through April 29, 2007 and you can find out more about A Splash of Blues at the Concord Museum.